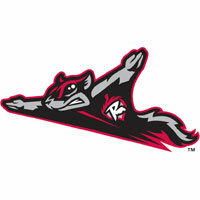 The Richmond Flying Squirrels, Double-A affiliate of the San Francisco Giants, are excited to announce that they have added even more promotional power to the final four games of the regular season, September 4-7 at The Diamond. Friday, September 4th – Free Shirt Friday (1st, 1000 fans 15 and up), Happy Hour & Ladies Night presented by Orangetheory Fitness. Show your college ID for a $5.00 ticket offer (best available). Kids run the bases after the game presented by McDonald’s and Richmond Family Magazine. Craft Beer fall tasting & buffet in the PFG Picnic Zone. Gates open at 5:30 PM. Saturday, September 5th – Superblast Saturday Fireworks and 20th Anniversary Celebration of the movie Billy Madison. Fan Appreciation Night with great prize drawings all game long for fans . Gary Higginbotham Auto Sales will be giving away car! Enter to win by emailing why you need a car to info@squirrelsbaseball.com. Kids run the bases presented by McDonald’s and Richmond Family Magazine Gates open at 4:30 PM. Show your Military ID and receive 4 complementary tickets. Monday, September 7th – “Labor Day Celebration” pregnant women receive free admission & $1 hot dogs all game. It’s 5 o’clocksomewhere happy hour from 11:00 AM-1:00 PM. Bark in the Park #3, well behaved dogs receive free admission. Gates open at 11:00 AM with first pitch at 12:05. McDonald’s Monday Buy One Get One Free ticket offer with McDonald’s receipt.. The Squirrels eight game road trip continues Monday with game one of four in Harrisburg. Squirrels LHP Kelvin Marte (10-5, 2.38) will make the start against Senators RHP Colin Bates (5-5, 4.00). First pitch is scheduled for 7:00 with the Pregame Warmup beginning at6:40 PM on Fox Sports 910 and FoxSportsRichmond.com.